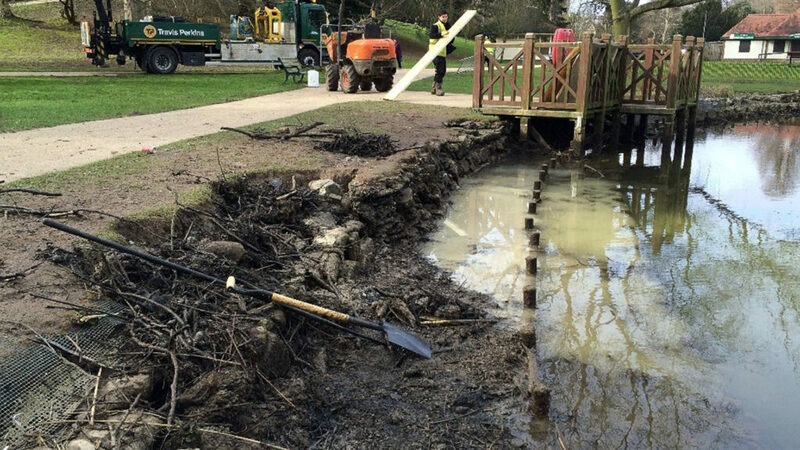 Wastewater surface water cross-connections were degrading water quality in Alexandra Park’s Stream, leading to poor bathing water quality at the popular Hastings Beach. 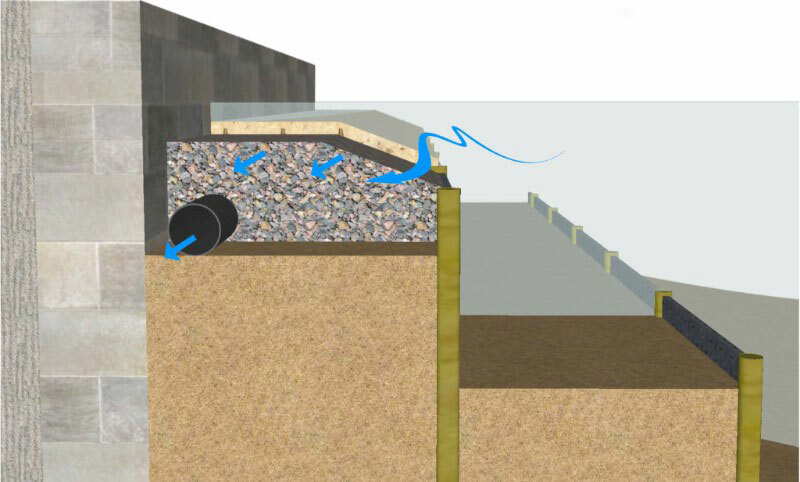 Two piped underground water connections were brought to the surface (daylighted) and redesigned to optimally support the natural water purification processes, increasing dissolved oxygen levels and providing an attractive moving water feature. When the bathing water of Hastings Beach was tested according to EU safety standards in 2012 it was found to be of poor quality. 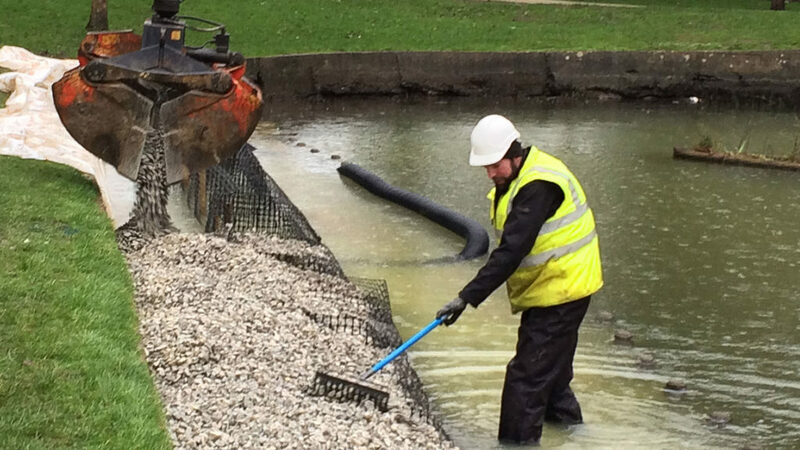 Hastings Borough Council, the Environment Agency and the local water companies set out on an extensive project to raise the water quality in the safest and most natural way possible. Biomatrix Water and several project partners worked together to design and carry out the ecological water quality management of the project. 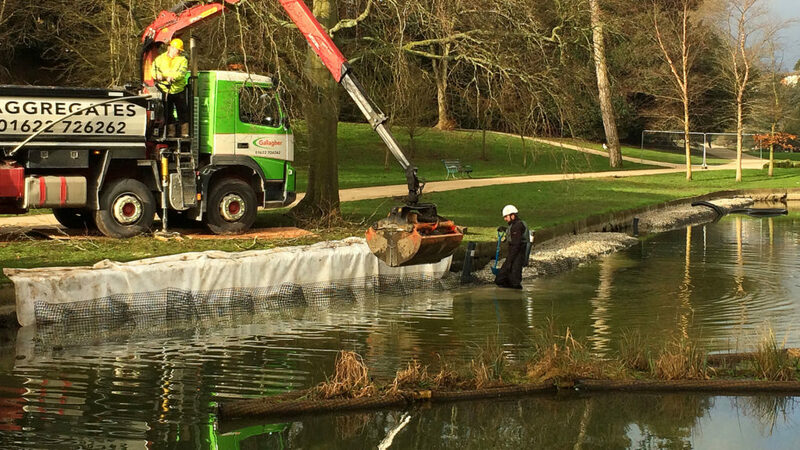 Works were carried out to divert the rainwater through the town’s Alexandra Park, which relieved the pressure on the stormwater system. 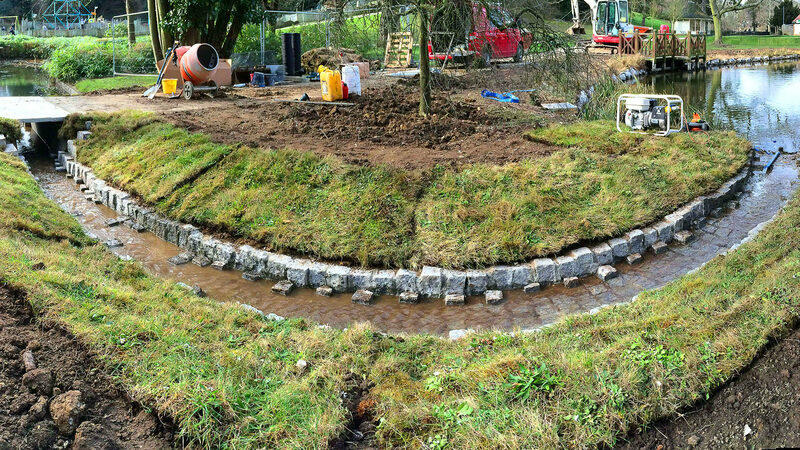 The waterflow through Alexandra Park was further shaped by the project team, which designed and installed an intricate water purification system. 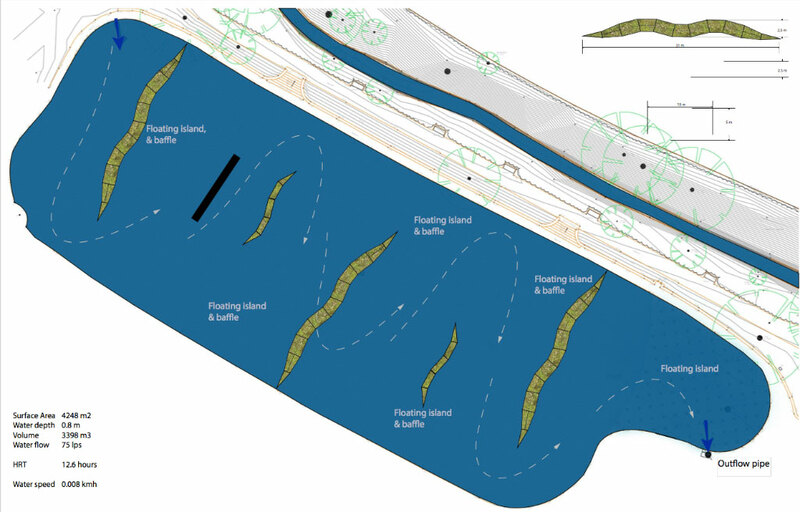 The design incorporates the existing ponds, two connection cascades, an Active Edge filter and Floating Treatment Wetlands in the lower park. 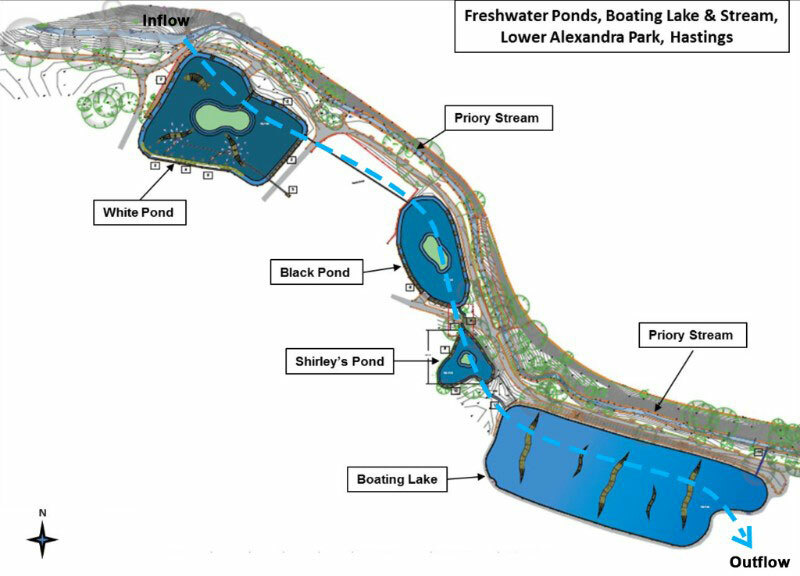 These measures combined slow down the waterflow through the park, allowing nature the time to do what it does best: to purify the water through bio- and phytoremediation processes. 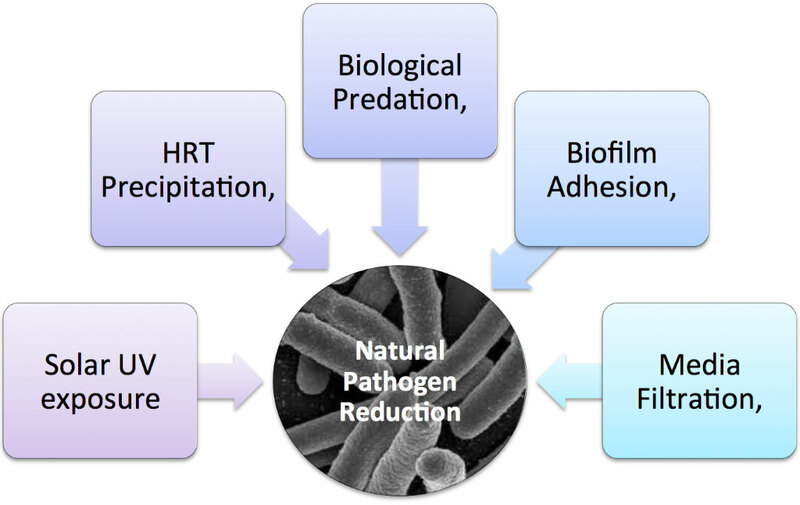 As part of the project development, Biomatrix Water developed a biological process calculation to predict the benefit of the proposed works in terms of pathogen reduction potential. 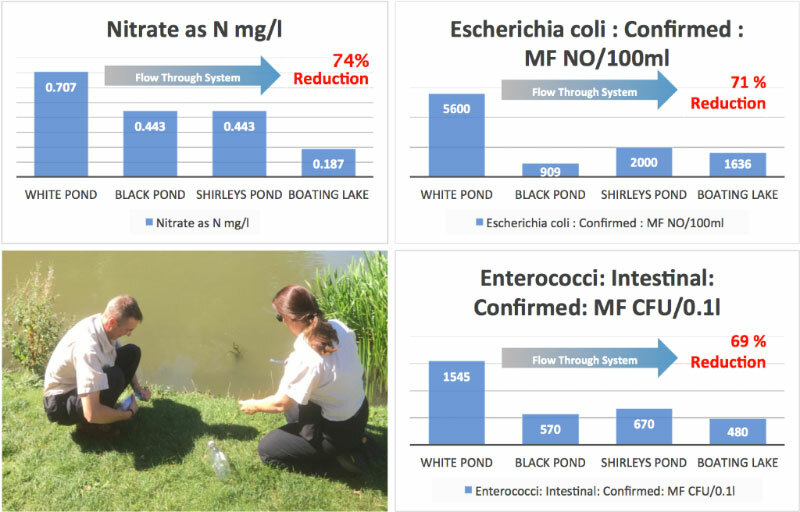 Post installation, the monitoring results show the actual reduction potential was slightly higher than calculated. 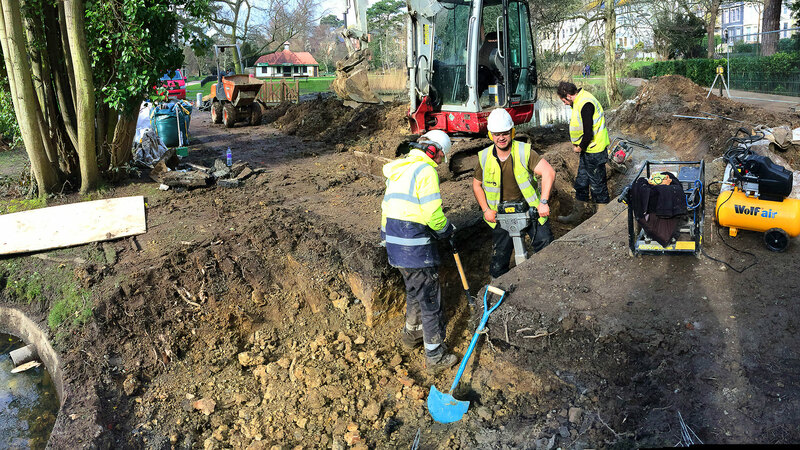 The overall design was made with the focus on restoring the water quality and bringing out the hidden potential of the existing ponds, adding ecosystem services value to the historic Alexandra Park. 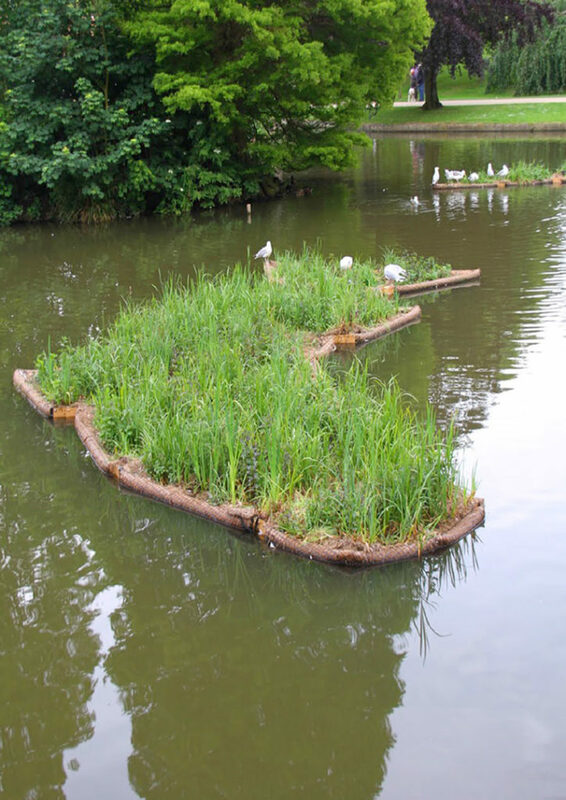 An aerated Active Island is connected to an Active Edge filter, by use of a submerged airlift cylinder, drawing water from White’s pond to establish sub-surface flow constructed wetland treatment processes within the pond edge. 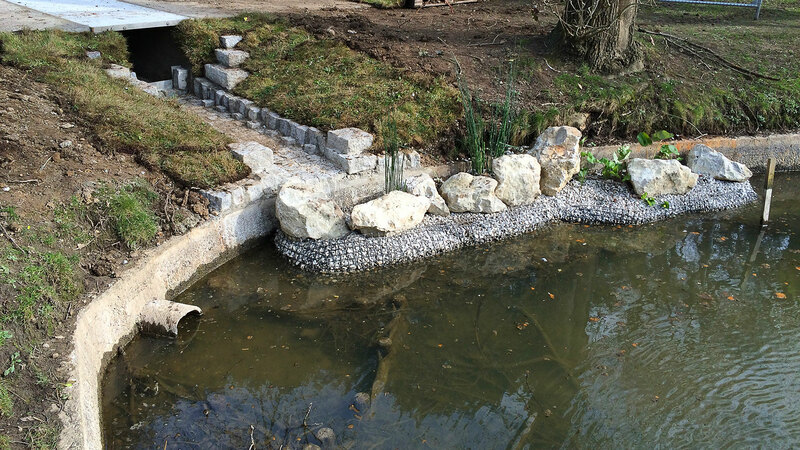 Custom shaped gabion baskets were constructed to suit the slope condition and provide the optimal substrate level for revegetation with aquatic plants. 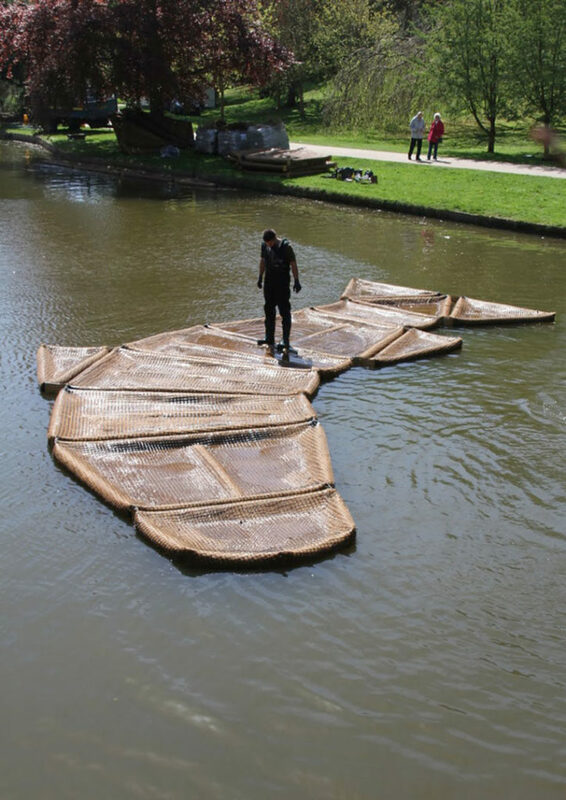 Biomatrix Floating Treatment Wetlands (FTW’s) were installed, forming floating garden clusters that passively treat the surface water through the process of phytoremediation. 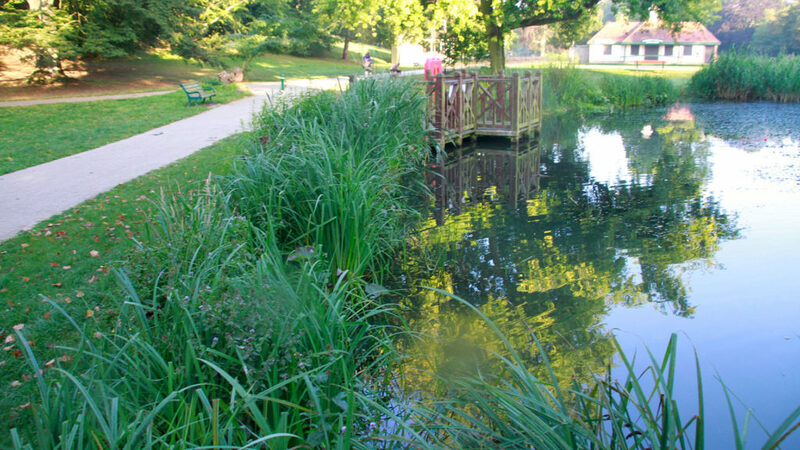 Islands were formed with aesthetic shapes to fit in the park landscape with a gesture to the town’s fishing heritage. 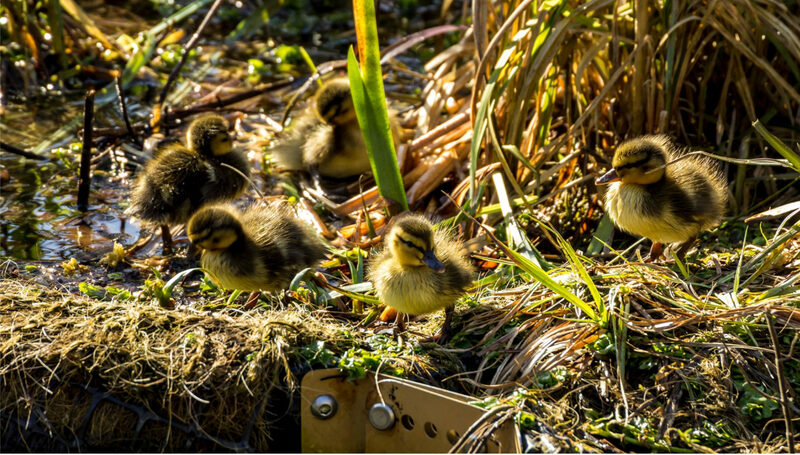 Shortly after installation, local aquatic wildlife took shelter on the islands.